INDIANAPOLIS, Feb. 22, 2018 – Reigning Elite Team Cup all-around champion Brandon Briones of Gilbert, Ariz./Aspire Kids Sports Center, 2017 U.S. junior all-around gold medalist Brody Malone of Summerville, Ga./Cartersville Twisters, and 2017 junior elite Level 10 all-around champion Paul Juda of Deerfield, Ill./Buffalo Grove Gymnastics Center, are among the nation’s top male gymnasts who will compete on regional teams at the 2018 Elite Team Cup at Sears Centre Arena in Hoffman Estates, Ill., at 5 p.m. CT on March 3. The Elite Team Cup is held in conjunction with the 2018 American Cup, an International Gymnastics Federation World Cup event that features some of the world’s biggest names in gymnastics and will be held earlier on March 3 at 10:30 a.m. CT, and the Nastia Liukin Cup, which showcases many of the country’s best Junior Olympic female gymnasts and is slated for 7 p.m. CT on March 2. The Elite Team Cup field includes 10 members of the U.S. men’s junior national team: Justin Ah Chow of Miami, Fla./Universal Gymnastics Inc., Region 8; Lazarus Barnhill of Houston, Texas/Cypress Academy of Gymnastics, Region 3; Briones; John Chou of Cypress, Texas/Cypress Academy of Gymnastics, Region 3; Vitaliy Guimaraes of Arvada, Colo./5280 Gymnastics, Region 9; Juda; Riley Loos of El Dorado Hills, Calif./Technique Gymnastics, Region 1; Malone; Kevin Penev of Penfield, N.Y./RGA, Region 7; and Colt Walker of Cedar Park, Texas/AcroTex Gymnastics, Region 3. 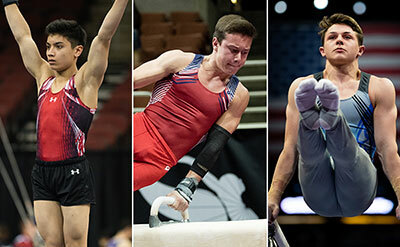 The Elite Team Cup features nine men’s Regional Teams, each consisting of six junior elite gymnasts. Team scores for the Elite Team Cup will be based on five athletes competing on each event with the top four scores on each event counting. The country’s best junior elite male gymnasts compete, representing their respective regions. The junior elite gymnasts must be between 13-18 years of age as of May 31 and were selected from the Regional Elite Team Program. 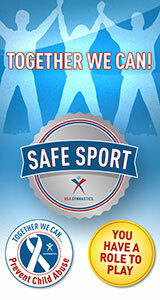 The junior elite gymnasts will follow USA Gymnastics Level 10 Age Group rules for the competition. The event was first held in conjunction with American Cup in 2016 in Newark, which also hosted the 2017 edition. Tickets are available for all three events: American Cup, $59-$79; Nastia Liukin Cup, $39-$49; and Elite Team Cup, $29-$39. All-session ticket packages range in price from $89-$149 and include tickets to all three of the weekend's events. Ticket prices vary according to the event and seat location. All ticket prices are plus applicable fees. To purchase tickets, visit www.SearsCentre.com, call 1-888-SEARS-TIX, or visit the Wintrust Box Office at the Sears Centre Arena. Group tickets may be purchased by calling 773-327-3778.